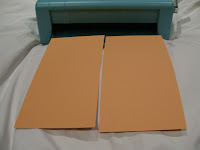 A lot of you have been writing me telling me how much you are enjoying your Zutter Bind-it-All which is a fabulous product for making booklets, memory books and pretty much anything you can think of to bind together. Debbie Olsen really went town with one on her Bodacious Chipboard Coaster Box. This is what the DreamKutz was designed for. 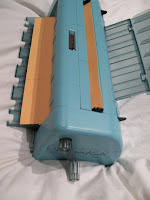 The DreamKutz has two slots in the back with a set of aligned wheels and self sharpening rotary blades. 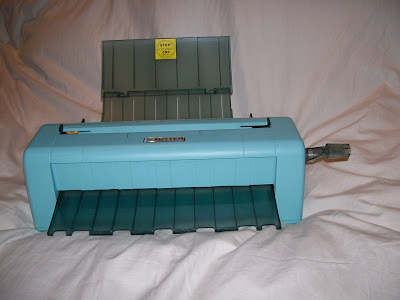 By putting a 12 x 12 sheet of paper in the back slot and cranking the wheel you get two perfectly alligned pieces of 6 x 12 paper. Its completely foolproof. Load the paper, crank the wheel, and out comes the paper. 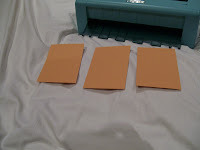 The two sheets can then be run through the back cutter again to make 4 pieces of perfect 6 x 6 or the front slot which has two cutter at 4" spacing giving you 6 pieces of 4 x 6 as shown below. 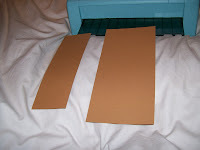 The result of these two steps is perfectly cut stock for any crafting need in seconds. 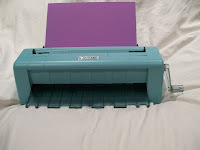 The "intended" use for the DreamKutz machine is all fine and dandy but I *knew* the first time I saw it at CHA that I could use it for card making. The key to this is the indexing tabs on the back slot. They are moveable and self-centering, meaning that if you move the right one, the left one moves as well. 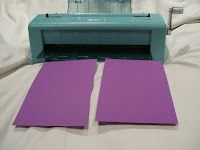 By adjusting these tabs to 5 1/2" you can cut an 8 1/2" x 11" cardstock into two perfect pieces of 8 1/2" x 5 1/2". 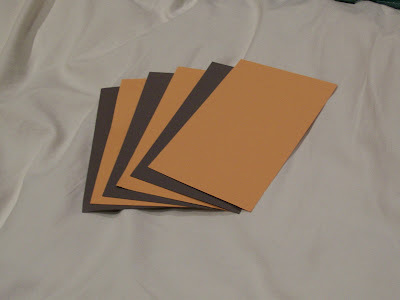 Can anyone say ... Cardstock? But wait ... there is more! You can further adjust it to cut stock at 5 1/4" wide and then run it through the front slot to make perfect 5 1/4" x 4" blanks for card fronts. Hooray! Painless rough cuts! 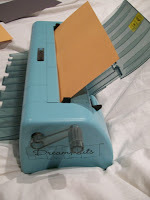 The Dreamkutz will cut any size paper you choose. The back blade will always cut in the center after you have moved the black paper guides to fit the paper. 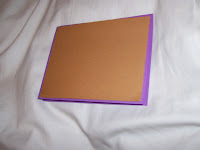 So your 8 ½ " wide paper would be cut in half to 4 ¼" x 11" which is generally used for cardmaking. 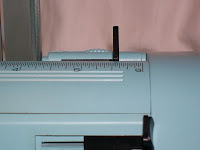 Likewise you can cut the 11" side in half in the back blade to get your 5 ½" x 8 ½" if you wish. The two blades in the front are set at 4" so you would be left with a ½" strip from the 8 ½" wide papers and 2 x 4" and 1 x 3" if you cut it along the 11" edge. It is really a case of using a little math to see if you can get the size you are looking for. 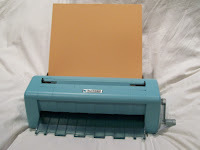 The DreamKutz gives you a quick and painless way to cut card stock straight, even, and fast. DH especially likes it since he is the one usually enlisted the night before a swap is due to to make all these cuts with a paper trimmer. That is SOOO 2006! Eclectic Paperie offers the DreamKutz for $89.99. Get yours today! Daisy, GREAT info! You just answered all the questions I had about the DreamKutz!!! Thanks! WOW! That thing IS "kewl"!!! I wondered how it worked! Unbelievable! Now I want one of those too ! 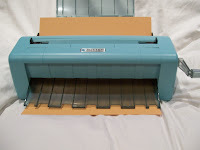 I am looking at a cutter to make precision cuts to make notepads - do you think this will work? It is so difficult to find good information on the DreamKuts!! !